Tax changes in the Federal Budget make buying a new car more attractive for businesses. The cost of some cars will almost halve for eligible businesses and sole traders following the recent changes in the Federal Budget to expenses up to $20,000. Car dealers across Australia are reporting a surge in interest in vehicles below $20,000 as "Tony's Tradies" and small businesses try to get in before the June 30 end of financial year. June is already historically the biggest month of the year for new-car sales -- and the single biggest month for deliveries of commercial utes and vans as businesses update their models before tax time -- but this year is expected to break all records. Following changes announced in this week's Federal Budget, small businesses and sole traders will be able to claim a deduction on "tools of trade" valued up to $20,000 in this financial year, rather than have the refunds spread out over eight years. The changes mean sole traders will be eligible for a refund of up to $8500 on a $20,000 work vehicle (after accounting for GST) while small businesses could pocket up to $5400 -- providing quarterly tax instalments or pay-as-you-go taxes are up to date. Sole traders in the maximum tax bracket of 47 cents in the dollar stand to make the most gains, while companies with a turnover not exceeding $2 million may be eligible for an instant tax refund of 30 cents in the dollar. Private buyers, however, will not benefit from the new scheme. And tax experts have warned private buyers to not be tempted to establish a business name, because the company must demonstrate to the tax office that it is viable and has an expectation to earn income. New vehicles purchased for more than $20,000 do not apply to the new scheme and will continue to be deductible over eight years. Many brands are well placed to move new metal. The Toyota HiLux, Australia's top-selling ute, and the Mitsubishi Triton ute, are available from $20,990 drive-away in their most basic form, with a drop-side aluminum tray, a popular choice with tradies. Once the 10 per cent GST is removed from the drive-away price, they fall under the $20,000 threshold and buyers will be able to claim a deduction of between $5400 and $8500 on those models, depending on their circumstances. In effect, it brings the price of a basic ute to between $12,490 and $15,590 drive-away once the tax refund has been taken into account, which is the equivalent price of some of Australia's cheapest cars. Similar savings apply to the Volkswagen Caddy and Renault Kangoo vans. Small businesses needing a city runabout to deliver parts or other goods are also expected to take advantage of the offer with cars such as the Hyundai i20, Suzuki Celerio, Nissan Micra, and the Kia Cerato, with savings range from $3897 to $8500, based on figures calculated by News Corp Australia. Indeed, the $12,990 drive-away cost of a Hyundai i20 manual -- Australia's cheapest car from a mainstream brand -- can be almost halved to just $6885 for eligible sole traders, once the tax refund is taken into account. "We applaud the government's small business initiative," said Patrick Tessier, the chief executive officer of the Australia Automotive Dealer Association, representing 4000 franchises. "We believe small business needs a stimulus and we think this will have an immediate benefit." "Our dealers are already reporting a spike in interest in showroom traffic and phone calls; there is a lot of inquiry about what these changes mean and what savings might be available." Mr Tessier said the tax rebates will vary depending on the individual circumstances of each small business or sole trader. The AADA also predicts the car companies will react quickly and introduce models in June to take advantage of the new arrangements. "The car industry will respond to this, but some brands will be able to do more than others," said Mr Tessier. "I think we will see more cars limbo closer to that $20,000 mark in June." 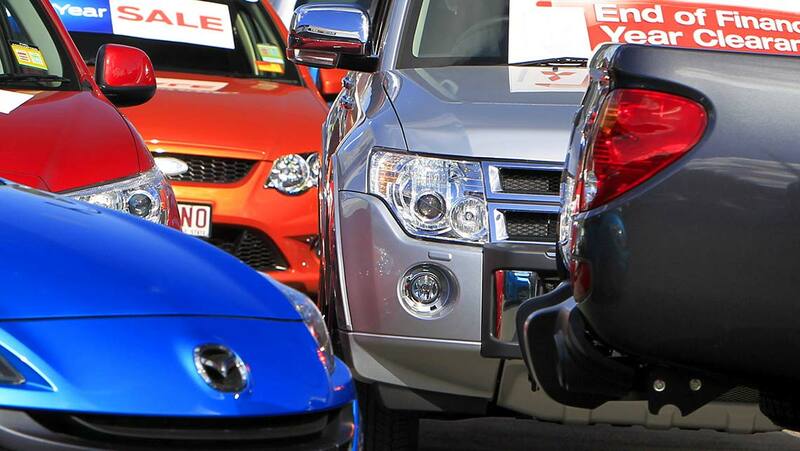 Brands such as Holden, Ford, Mazda and Isuzu that don't currently have a special drive-away offer on a ute close to the new $20,000 threshold are understood to be scrambling to introduce changes to take advantage of the new tax agreements. “If people are rushing to buying a new car they need to consider the non-commercial loss provisions which apply to their business,” said Amar Deep, a chartered tax adviser. Eligible businesses must turnover more than $20,000 per year and less than $2 million, the real estate assets of the business must be worth more than $500,000, other assets must be more than $100,000, and the business must have made a profit in three of the last five years. Drive your dollar further: popular work vehicles and the tax refund sole traders and small businesses may be entitled to following changes in the recent Federal Budget. Tax refund figures are a guide only. Consult a tax professional for an accurate estimate on any new vehicle you may consider purchasing.